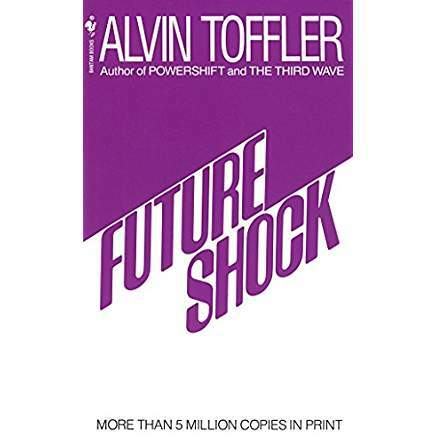 Future Shock by Alvin Toffler, is about the consequences of rapid technological change. I read it years ago, but have been really feeling the rapidity of it lately. There is a pace of change that is comfortable for the human mind. Too fast, and stress increases, and things begin to fall apart. Some people like a faster pace, some a slower one. Nonetheless, unexpected change is jolting. And confusing. And stressing. Even if it’s good change. And it gets harder to tell if the change is for the good or bad when it happens very fast. We do not have to necessary accept rapid change. We can retreat into a countryside lifestyle. The birds will still exist. The sunsets will still be beautiful. Who needs the daily stresses? Just because technology is, we do not have to accept it. But others will. And why deny this time’s greatest calling? Look back over history. This time is like no other. We have a unique opportunity, with huge technological advances on the horizon. Machine learning, genetic engineering, artificial intelligence, quantum computing, self driving cars… not to mention the societal changes that will come with all of the above. We are in for a SHOCK. The rules of yesterday do not apply to today. And the best part is, you have not missed out. I believe that we are still on the very early edge of a whole new world.